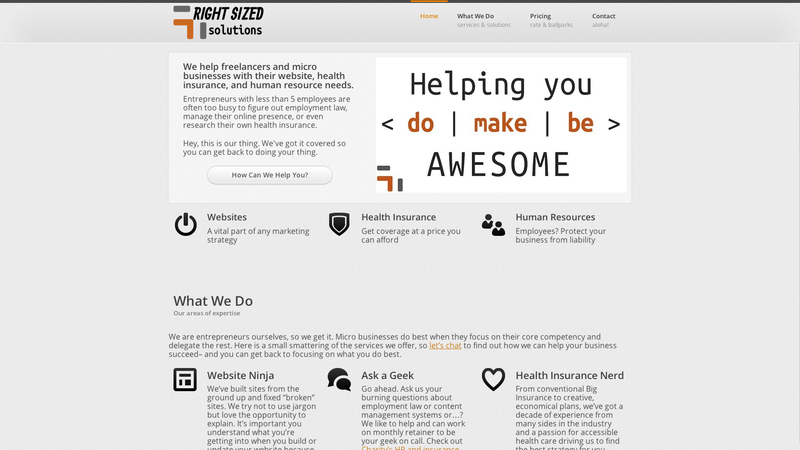 My company, A Serious Production, rebranded itself at the beginning of 2013 to Right Sized Solutions to service micro businesses (0-25 employees) with their web, health insurance, and human resources needs. A responsive theme with parallax (scrolling single page) functionality was utilized. Built on my favorite platform, WordPress.